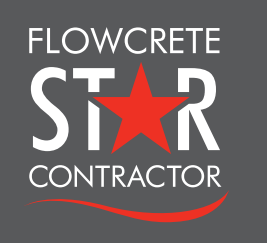 Surface Solutions, Inc. is a Flowcrete STAR Contractor, a program designed to provide the company’s network of contractors with the skills and knowledge required to master the installation of Flowcrete flooring systems. STAR stands for “Specialist Training in the Application of Resin,” and the STAR contractor training program demonstrates the latest resin flooring installation techniques, tips and advice from expert-qualified trainers. Additionally, in-depth classroom-based learning covers a wide spectrum of topics, including cementitious urethane, methyl methacrylate (MMA) and other specialty resin chemistries; typical floor installation construction details such as important health and safety guidelines set out by the Occupational Safety & Health Administration, floor installation project management, installation proficiency testing and certification. Contractors are fully trained in Flowcrete Americas’ flooring systems, characteristics and workability, as well as how to avoid common application errors. Surface Solutions enjoys a mutually beneficial partnership with Flowcrete Americas, a world leader in seamless resin flooring with 30 years of experience providing flooring solutions that can transform any environment. Flowcrete Americas supplies a wide range of industrial and decorative resin flooring coatings that offer slip-resistance as well as heavy duty hygiene performance. In an exclusive global partnership with the makers of Polygiene® antimicrobial technology, Flowcrete has designed a cementitious urethane flooring system called Flowfresh, containing Polygiene, an antibacterial additive designed to eliminate dangerous bacteria on the surface of the floor by up to 99.9 percent. Flowfresh HF -a trowel applied, heavy duty, chemical resistant, antimicrobial treated cementitious urethane mortar floor topping that provides a durable, fine textured floor finish, is resistant to thermal shock and moisture vapor transmission. Flowfresh RT -a rake and trowel applied, heavy duty cementitious urethane topping that offers impressive chemical and heat resistance, a durable and fine textured floor finish, is resistant to thermal shock and moisture vapor transmission. Flowfresh SR -a slurry-broadcast applied, heavy duty, chemical resistant antimicrobial treated cementitious urethane topping that provides a positively textured colored floor finish, is resistant to thermal shock and moisture vapor transmission. Flowfresh SRQ -a slurry-broadcast applied, attractive, heavy duty, chemical resistant, antimicrobial treated cementitious urethane topping that contains colored quartz aggregates to ensure a vibrant finish, is resistant to thermal shock and moisture vapor transmission. Flowfresh MF -a slurry applied, self-leveling, heavy duty, chemical resistant, antimicrobial treated cementitious urethane floor topping best suited to areas subject to light-to-medium foot and wheeled traffic or occasional chemical spillage, providing a durable, smooth floor finish, resistance to thermal shock and moisture vapor transmission. Flowfresh SLB -a cost effective, slurry-broadcast, self-leveling, medium duty, chemical resistant, antimicrobial treated cementitious urethane topping that is also resistant to high moisture and aesthetically pleasing, providing an excellent alternative to traditional epoxy installations through improved durability, thermal shock resistance and resistance to moisture vapor transmission. 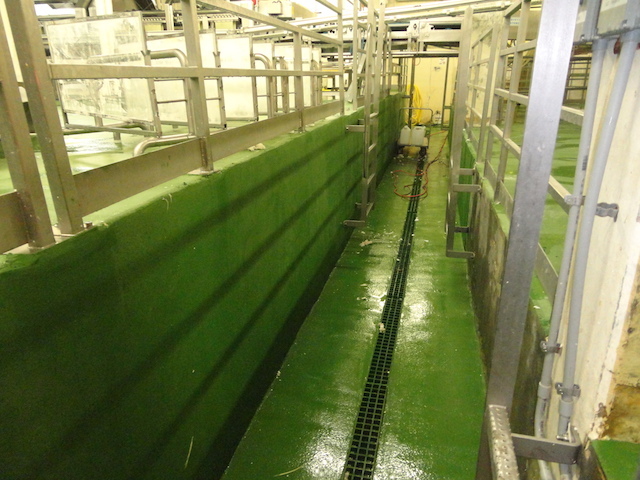 Flowfresh FC -an antimicrobial treated cementitious urethane floor coating designed to complement the Flowfresh antimicrobial flooring system and give an anti-slip surface, while retaining chemical resistance and durability. designed to complement the Flowfresh antimicrobial flooring system, providing a heavy duty, thermal shock resistant seal at the joint between the floor and the wall. Flowfresh IF a trowel applied, exceptionally heavy duty, chemical resistant iron filled, antimicrobial treated cementitious urethane resin floor topping that provides a durable and fine textured floor finish, is resistant to heavy impact loads, thermal shock and moisture vapor transmission. Flowfresh TZ -a high performance, antimicrobial treated cementitious urethane based granite filled terrazzo flooring system that combines aesthetic qualities with superior mechanical, chemical and thermal properties, and is moisture vapor transmission resistance. Flowcoat CR -a 100% solids, high performance, high chemical resistant epoxy coating designed to provide different grades of slip resistance by using graded aggregate between coats. Hydraseal DPM –a solvent and water-free epoxy resin, liquid-applied surface vapor barrier formulated for green concrete and other concrete surfaces with high residual moisture content, allowing early installation of floor finishes. Flowfresh SR Sealer -a solvent free, polyurethane-based semi-flexible coating for industrial epoxy floors, specifically formulated for the Flowfresh SR or SLB systems. Flowseal Ultra -a two-component, fast-curing, UV-stable gloss sealer that acts as a receiving coat for quartz and flake broadcast systems. Surface Solutions provides expert consultation and installation, and a full line of Flowfresh products in addition to other industrial flooring systems. We are committed to 100% customer satisfaction on every project.